Wythenshawe Hospital, incorporating University Hospital of South Manchester, opened the Northwest Heart Centre in 2011. The unit brings cutting edge technology and clinical research to Greater Manchester, providing specialist cardiac and thoracic surgical services to the 3.2million strong population. In order to deliver health services at a high standard, the National Health Service chose to invest in this new building project. The hospital site has expanded to provide a new 26-bed critical care ward, 20 consulting rooms and an integrated cardiac diagnostic suite. Part of this project included the provision of a good quality heating system through a biomass boiler. As such Rural Energy was commissioned to design and install a 220kW Herz BioMatic with an external octagonal hopper fuel store. The plant room and fuel store centre is located inside the new building, with the octagonal hopper neatly placed inside the building to conceal it. The hopper was easily constructed on site and did not require alteration to the existing building plans. 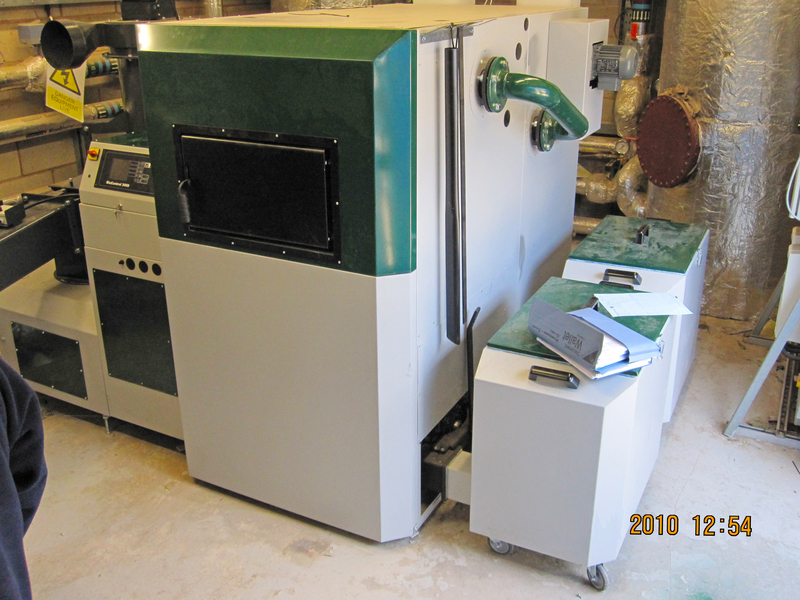 In order to provide more feasible fuel costs, the client opted to run the boiler on wood chip fuel. Therefore Rural Energy specified and installed a vertical elevator fuel delivery system that sits just outside the outer wall of the energy centre. 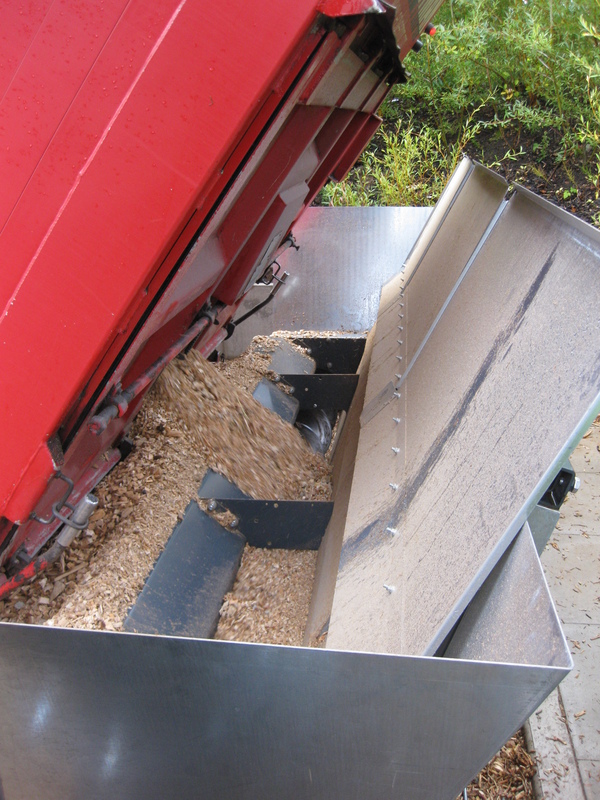 The tipped vehicle delivers wood chip to the delivery trough initially, which then elevates this and drops the fuel into the hopper. This is a neat solution which does not require a subterranean fuel store but allows for the provision of wood chip. This NHS healthcare facility now benefits from a much lower carbon footprint than it would if running on conventional fossil fuels.